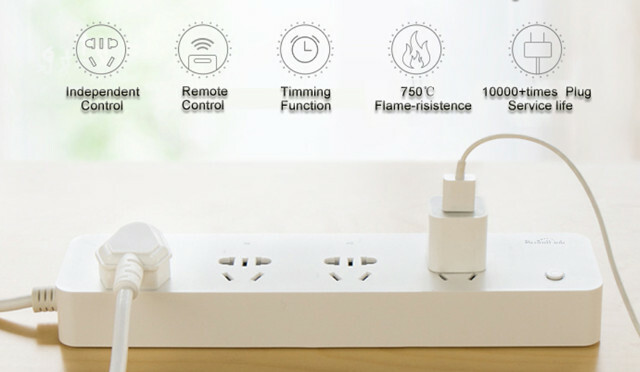 There are plenty of WiFi sockets going around such as Broadlink SP2 or Kankun KK-SP3, but in some cases it might be both more convenient and cheaper to get a WiFi power strip, and Broadlink MP1 offers just that with 4 sockets that can be controlled and programmed (timer) independently, and sold for just $19.88 on Banggood. 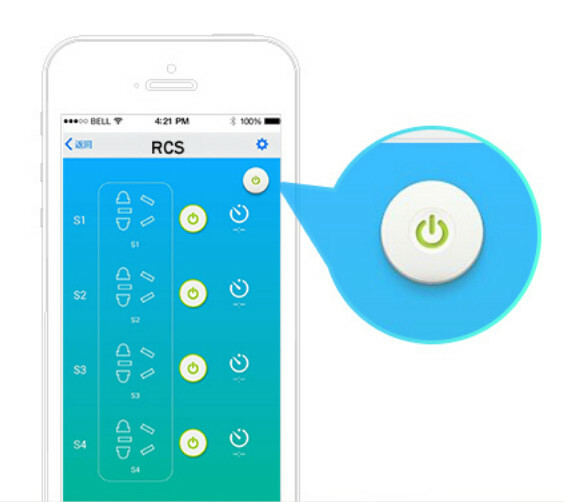 The power strip can be controlled via Broadlink ihc (Intelligent Hone Control) app available for Android and iOS, which lets you independently manually turn on or off or set timers for each sockets. You can also use IFTTT to control the sockets, but it may require Broadlink SC1 “housekeeper”. There does not seem to be an easy way to control the power strip with a computer. The strip is also sold for around $25 and up on Aliexpress, GeekBuying and GearBest [Update: Now $19.78 promo]. It’s been around for a few months already, but I have not found any hacks yet, and could not find the processor used in the strip. However I know it’s likely not running OpenWrt and there’s no SSH access. Reading further, I did find another model, Broadlink MP2, with 3 power sockets, and 3 USB ports that’s said to be based on a Mediatek solution, and sold for $27.59. More information can be found on Broadlink MP1 and MP2 pages (in Chinese only). Any similar gadgets with UK socket support? And this is clearly not certified for use outside of China. 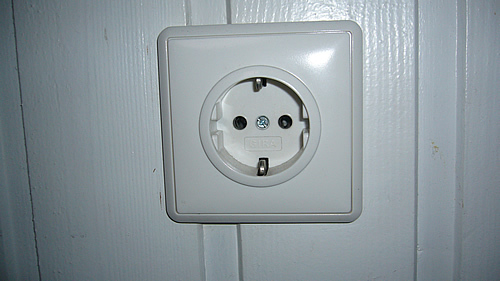 That’s a Chinese socket, not Australian, as you’re not allowed to sell multi-plugs like this in Australia, or most other countries for that matter. I’d be really concerned about the electrical safety of something like this, especially considering the cost. I did check for “Broadlink” in the EU’s “Rapid Alert System for dangerous non-food products” @ http://ec.europa.eu/consumers/consumers_safety/safety_products/rapex/index_en.htm, and they are not listed. But most likely, there’s no certification like on other cheap mains connected devices. I’m more worried about them overheating / short circuiting and catching fire. Actually i am using droid4x and it works perfectly. Too bad it is not an ESP8266 running on there. I would love for something like this but with current transformers (for measuring power) per socket. Basically per socket power meter with wifi access. I would connect all my devices, tv, computers etc and then get nice statistics about power usage. Which chip would use use to measure the power consumption? One could imagine an ESP8266 with some measurement chips connected over an I2C bus. And I doubt this supports this grounding pin. Using UK adapaters would be just stupid and impractical. No earth on a power strip is asking for trouble. 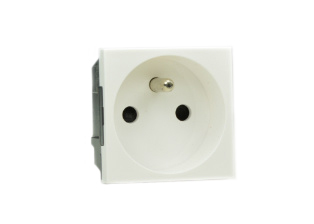 I wouldn’t mind using an adapater on a single socket because even an adapter would earth (if its a non-Chinese one ofcourse). I Lol’d hard reading the marketing “saftey” claims, Chinese really care about UK safety regulations don’t they now? Bigclive should do a breakdown on this. Of course they do. There are many wireless energy monitor plugs and strips out there. What I’d like though is a power strip that does the same for each socket, and I’m not aware of any for now. ESP32 should even more suited to this, provided costs is within control, as it has the hardware to handle power measurement. The MP2 doesn’t support independent control of each socket (as taken from google translate of the product page). If it supported 3d party software and had separate control of each socket, would be useful. I used to have Ubiquity mpower and didn’t like it. Its boot time is abysmal and the time it takes to switch a socket on and off is rather long. kk sp3’s are much better in my opinion. You can get the Xiaomi Power Strip which has power metering and also you can search for GWF-S171 which is a 3500W one socket EU version wifi power plug , again with power metering. A US version should also be available.